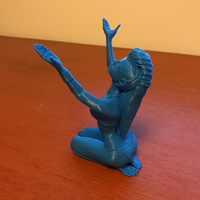 This model and print was... Fab-U-Lous!!!! Phenomenal design with exquisite detail and is laid out for 3D perfectly to avoid the use of supports! 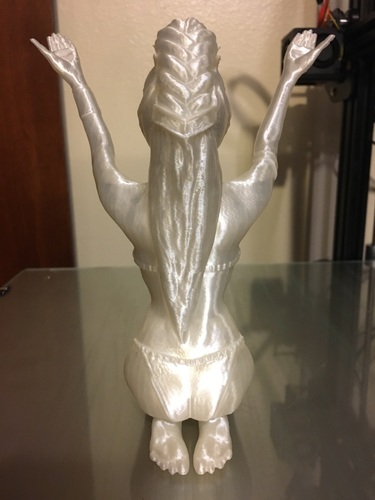 I put a picture of her backside, which I don't think gets as much 'airtime' as her sides and front little details such as the gap between her hair and the body are wonderful. 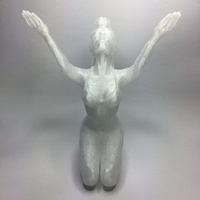 Not sure the Mfr of the filament, as it came with my printer - it is a transparent white PLA. 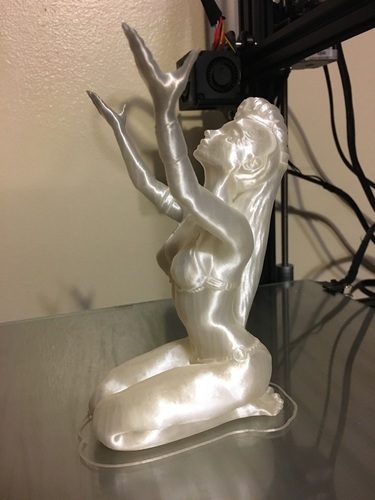 I used Wolfbite3D to hold prints to the glass bed. 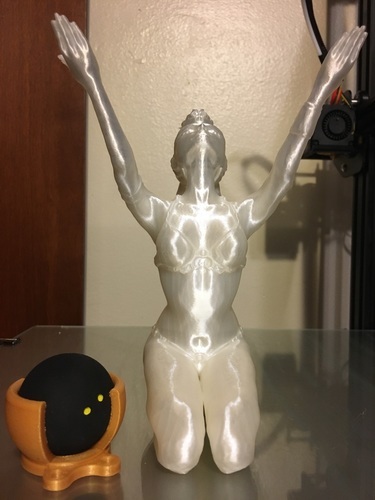 My printer is actually a CrealityCR-10 4s (400x400x400) Oh, don't mind the little round guy checking her out... that's Ming-Bahl one of my little creations. 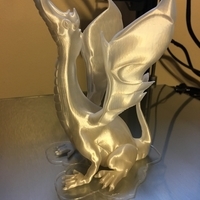 This is my 5th print with this printer! Woot! Thank you Louise!